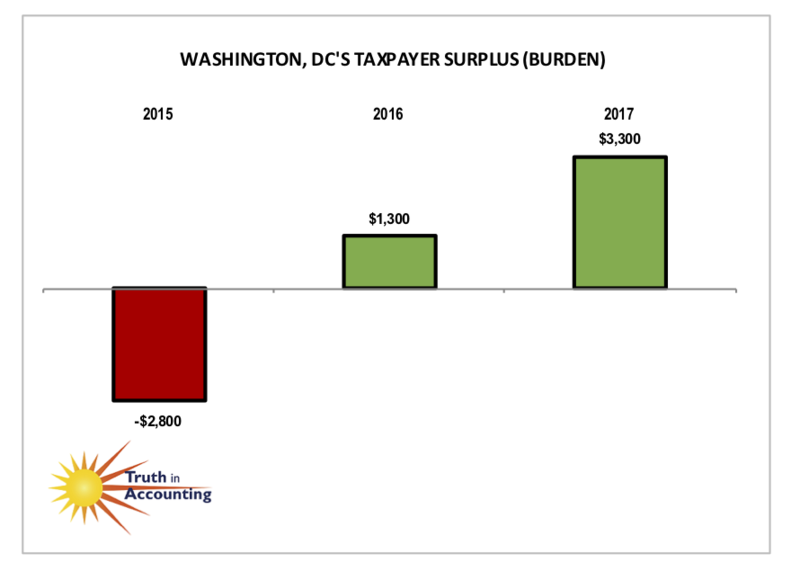 Washington, DC is a Sunshine City with enough assets to cover its debt. 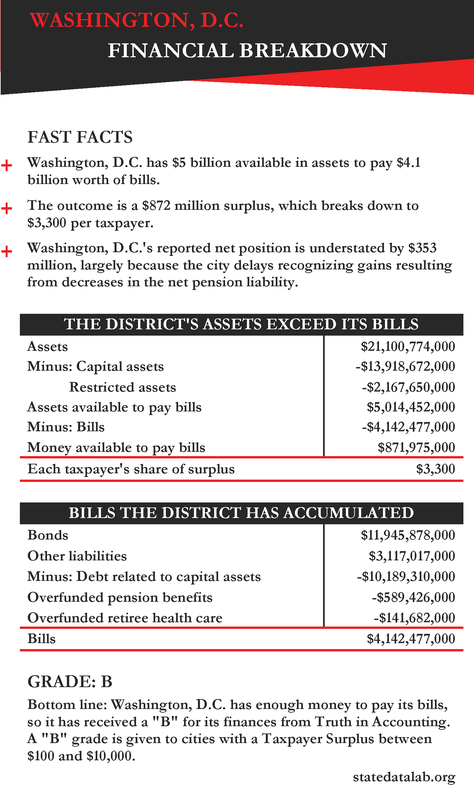 Washington, DC has $5 billion of assets available to pay the state's bills totaling $4.1 billion. Washington, DC has $872 million available after bills have been paid, which breaks down to $3,300 per taxpayer. 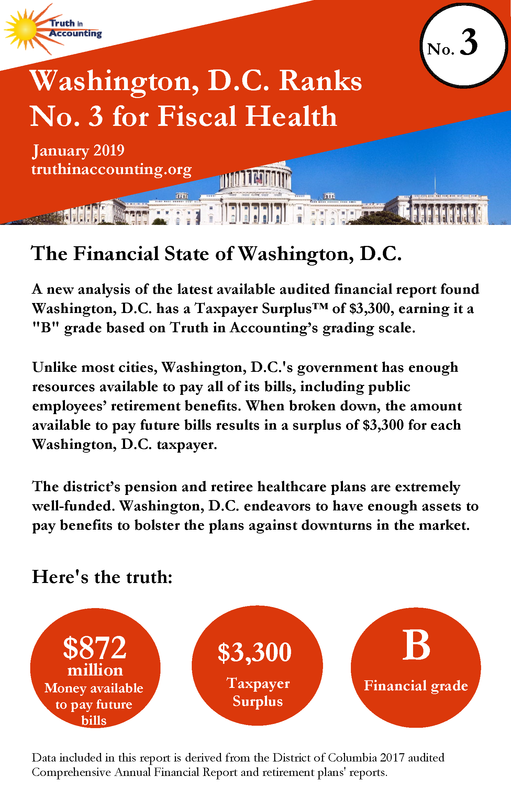 Washington, DC's reported net position is understated by $353 million, largely because the city delays recognizing gains resulting from decreases in the net pension liability.